Completing the assignment – which features multiple endings, side quests, Geralt-exclusive abilities, and a fight with a formidable Leshen – unlocks the Geralt α full armour set for crafting, as well as the Witcher’s Silver Sword weapon (a Sword & Shield) for your hunter. Palicos, meanwhile, get access to the Nekker α full armour set and Cursed Staff α. 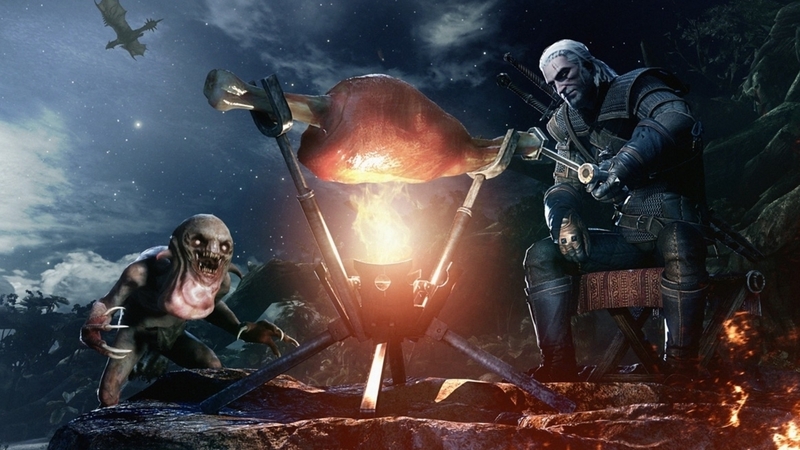 For the time being, that’s your lot as far as the Witcher crossover event goes. However, from February 15th until March 1st, players will be able to take on a new quest, titled Contract: Woodland Spirit. This is intended for those with a Hunter Rank of 50 or above, and, unlike the first part of the event, is also available in multiplayer. Capcom says that hunters will be tackling an “ancient threat” – presumably the Ancient Leshen variant seen in the trailer – and that rewards include the Ciri α full armour set and matching Dual Blades. And if that’s still not enough new Monster Hunter World for you, Capcom will, as previously announced, be celebrating the game’s first birthday in a special Appreciation Fest, which runs from Saturday, January 26th until Friday, February 22nd, on Xbox One, PS4, and PC. Oh, and you’ll probably want to put the new Monster Hunter movie release date in your diaries too. If only so you can give all cinemas a wide berth for the duration.